Here are all the tips about YouTube playlist, like creating playlist, copying playlist, embedding playlist and others. All tips about YouTube Playlists are here. Log in YouTube. Hit the “Log in” button if you have an existing account on YouTube. If you do not have an account yet, please click the “sign up” button and register before you proceed. Start to create playlist by finding the “My” heading then choosing “Playlist”. After clicking “Playlist”, you should click the option “Create Playlist”. Edit the playlist description. Enter your name, description as well as any tags that you wish to be included for searching purposes. Now, you have to decide whether to make your YouTube playlist available in public or not. If you choose the “Private” option then you will be allowed to share your playlist only to some members that you have specified. Hit “Save Playlist Info” after finishing editing. Add videos to the playlist. Click the “Videos” link from your playlist page or hit the YouTube’s logo. Browse by using the provided content and look for a video that you wish to be added to your playlist. Click it and choose the “Save to Favorites” link. Look for “Pick a playlist” draw down menu below the “Add video to playlist” heading. Choose the playlist where you want to add the video and hit “OK”. If you like a YouTube playlist owned and created by someone else, there’s no need for you to make your own. You can use one particular tool that will let you get what you desire. That tool is no other than Copy YouTube Playlists. This is a web service which can help you in copying any YouTube Playlist. You should know that YouTube used to provide every internet user with a way to get a copy the playlist of another individual. But, since YouTube removed that feature, this web app will do the job for you. All you need to do is to open the web service and log in using your account then paste the URL of any YouTube playlist that you want to be copied. Make your new playlist private and that’s it. The new style or embedding code for YouTube playlist begins with "<iframe...". And this is the prevalent way nowadays. See how to do it below. Step 1. Go to the Playlists section of your account. Step 2. Select the playlist you'd like to embed. Step 3. Click Share and next Embed to show the playlist embed code. Step 5. Paste the embed code into your website or blog. Here is a sample YouTube playlist embedded with the IFRAME code. Below is what the embed code will be look like. If you know the ID of the playlist, copy and paste to the position of PLAYLISTID as follows. Download the program to install from the link above. Launch it after installation and get ready. Launch your browser (IE, Firefox or Chrome) and find your favorite YouTube playlist. A floating Download button will appear on the top right. You can also copy the link and click "Paste link" on the interface. After that, the program will start to analyze the whole playlist and add all the videos to the downloading list. Go to the Downloaded library to find all the videos after downloading. Click Convert on the right side. After you click the icon you will find the video on Convert section. Select a format you need in the prompting window. Click OK to start the process. 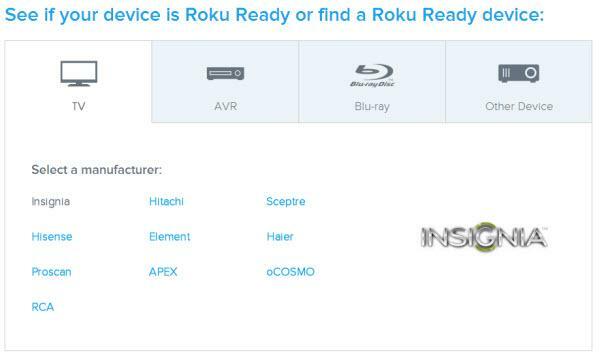 After converting, you can transfer the videos to your portable devices for playback. 4K Video Downloader is an application to download YouTube playlists. 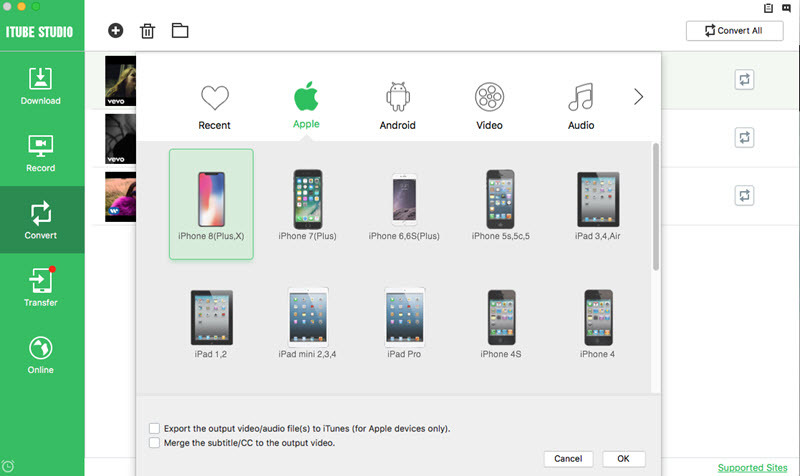 It will sort video clips and you can group it into a thematic playlists. This downloader is available for Windows, Linux and the Mac OS X computers. 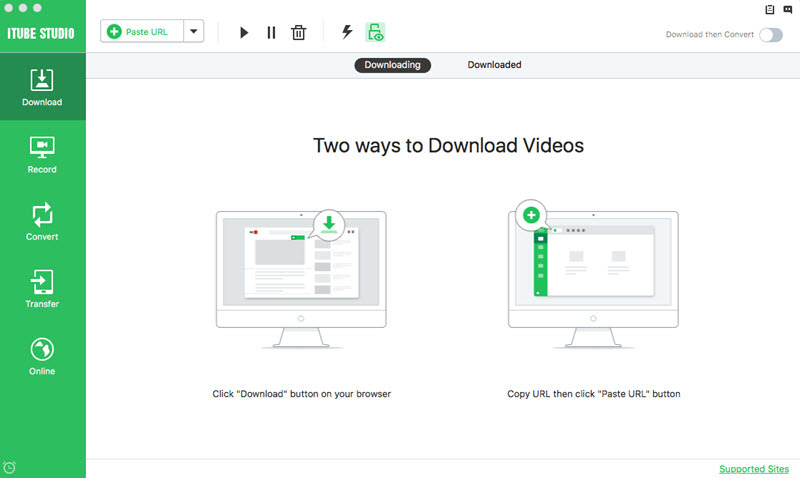 Freemake video downloader is easier to download the YouTube playlist. You can choose the quality and action of the video, then you may start the downloading process. It is a free downloader and it is available for Windows. 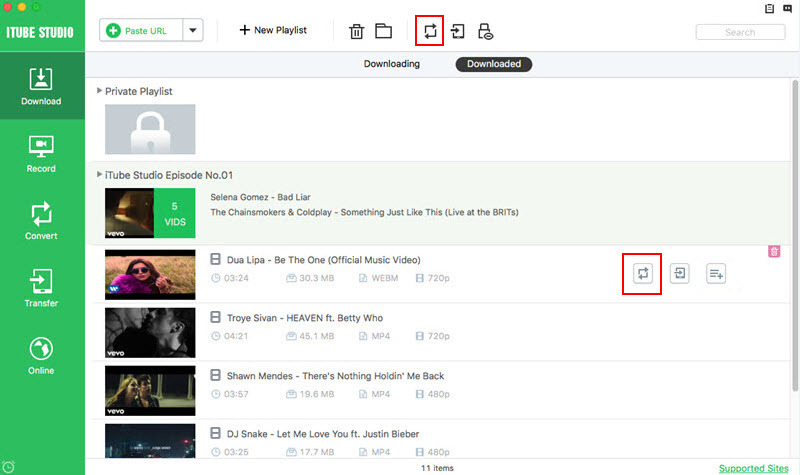 Mediahuman enables you to download an entire YouTube playlist automatically and hassle - free. It allows downloading many videos as you want. You can also convert the playlist into mp3. It is available for Mac, Ubuntu and Windows.